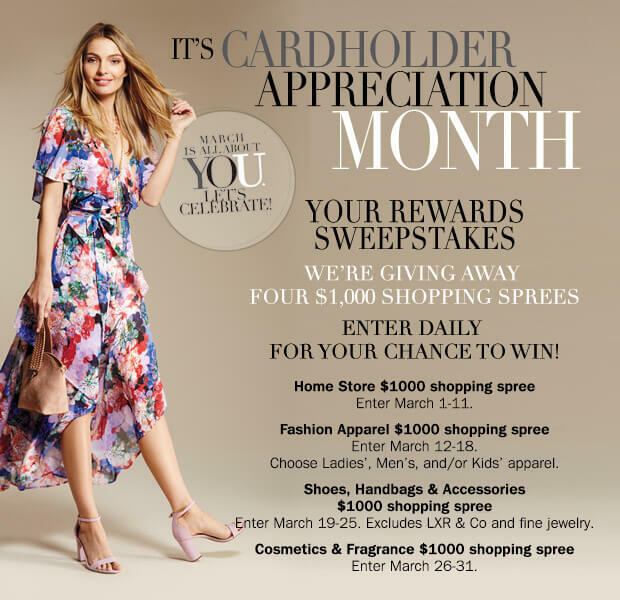 Visit www.herbergers.com/thanks and enter the 2018 Herberger’s Your Rewards Sweepstakes during the month of March for your chance to win one of four $1,000 shopping sprees. Enter daily for your chance to win $1,000 for home decor, fashion apparel, shoes, handbags, accessories, cosmetics, and fragrance. What Is The 2018 Herberger’s Your Rewards Sweepstakes? The 2018 Herberger’s Your Rewards Sweepstakes is a new Gift Card Sweepstakes sponsored by Bon-Ton Department Stores. The Sweepstakes is open only to legal residents of the 50 United States (excluding Rhode Island) and the District of Columbia who are 18 years of age or older at the time of entry. Vsit www.herbergers.com/thanks during the Promotion Period. Register for the Sweepstakes by completing an entry form online. Online entry requires user to provide first name, last name, phone number, and email address. Entries can be submitted daily and there is a limit of one entry per day. Sharon, agreed. When I posted my first response, I actually posted an hour later than what the posting time said. It may be a difference between EST and CST across the blog post lines?